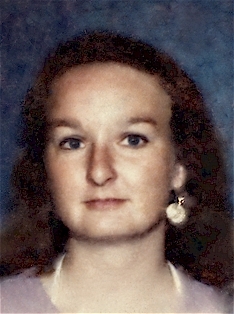 Barbara Jeanne Gould was born November 13, 1946 in Sidney, NY. She died on April 29, 2005 at age 58. Geoffrey Gould, her husband of 40 years and her two daughters Christine Gould and Charline Hardwick and six grandchildren, survive her. “She was not quite what you would call refined. Barbara was a bird keeper for over 40 years; she was the founder of Parrot Preservation Society, www.parrotpro.com, a non-profit Arizona Corporation. Barbara discovered how to tell the difference between the Military and the Buffons Macaws, by their eye color. She also invented cup feeding of the macaws and she was an expert in incubation and pediatrics of the macaws. She was the first to publish, “how to’s” for Macaws on the Internet for all to use, her articles included Macaw Pediatrics, The Baby Feeding Formula and many others. She is also published is 64 countries around the world in 8 different languages. She provided help freely worldwide to all people that needed help in raising their birds. She loved to teach children about Macaws. Barbara also raised Siamese Cats under the name of Four Queens. While Barbara ran her farm, she learned how to drive fire trucks, ditch witches, loaders, motorcycles and diesel trucks and to be more environmentally friendly she converted all of her diesel equipment, trucks and cars included, to bio diesel. Barbara was also very kind to all people; she regularly donated fruit to the local food bank and anyone who needed a little extra fruit in their diet. Barbara provided feathers to Native Americans nationwide. Barbara was also an expert in many other fields; researcher, artist, reverse paintings on glass, woodworker, expert marksman in handguns and long guns, teacher, cook, silversmith, goldsmith, stained glass, china painting, oil painting, watercolors, egg tempura, Santero (maker of Saints), photographer, singer, candy maker, trapper in the ‘60’s, and much more. “When I die I will be alone. I love you more than words can say.” B. J. Gould. A memorial dinner was held in Phoenix, AZ on Sunday, August 14, 2005 at The Bamboo House Another memorial was held in Point Arena, CA at the farm; September 11, 2005.